Chile is 7th on the table with 10 points from seven games played followed by Bolivia who has six points from 7 games played. Both teams need to perform better if they want to qualify for the final stages. 07th September 2016 at 06:00 (IST). Estadio Monumental David Arellano, Santiago, Chile. 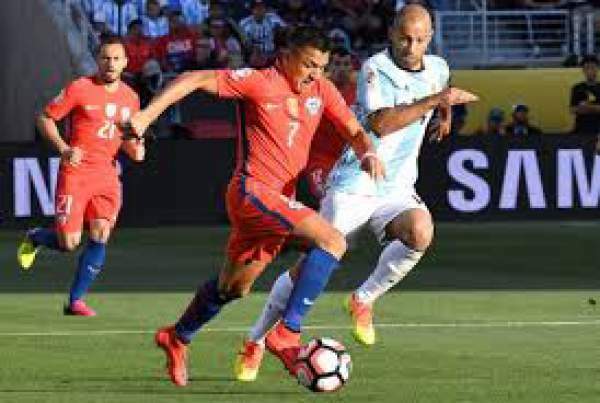 Chile is seventh on the table with 10 point as they have won three games, drew one and lost three, scoring 13 goals and conceding 12 in total. They won the Copa America this Summer beating Argentina in the finals and this their second triumph in two years. They were victorious in the Copa America last year as they defeated Argentina in the finals. They played against Paraguay in their last match of the qualifying stage of the World Cup and lost the game by 2-1. Paraguay scored very early on in the first half of the game as Oscar Romero made it 1-0 from his left foot. After that Paraguay made it 2-0 in the 9th minute as Paulo Da Silva scored a header from close range into the center of the goal. Chile tried their best to make a comeback as they pulled one goal back in the 36th minute through Arturo Vidal’s strike but it wasn’t enough. Then to add to their misery, Gary Medel was sent off in the 90th minute as he was shown a straight red. Bolivia has six points from two wins and five losses, scoring nine goals and conceding 13 in total. They were eliminated in the group stage of the Copa America as they lost all their games in the group. They lost to Panama by 2-1, against Chile by 2-1 and against Argentina by 3-0. They played against Peru in their last game of the qualifying stages and won the game by 2-0. Pablo Escobar scored the opening goal of the match in the 38th minute giving Bolivia the lead. Then as the game was reaching its end Ronald Raldes scored from his head to make it 2-0 and confirm three points on the table. Toselli, Mena, Medel, Roco, Isla, Silva, Aranguiz, Vidal, Sanchez, Fuenzalida, Vargas. Quinonez, Rodriguez, Bejrano, Raldes, Zenteno, Arce, Flores, Campos, Escobar, Azogue, Moreno. Both the teams are desperate for a win and get those three crucial points for the team.